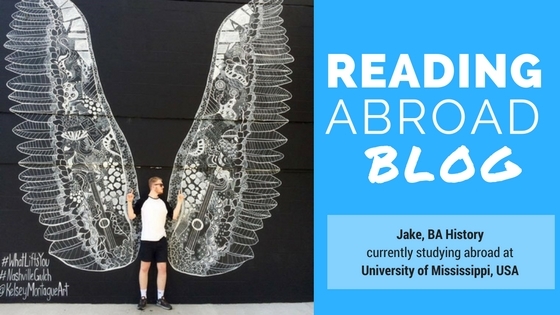 Jake is currently studying abroad at the University of Mississippi in the USA as part of his History degree at Reading. Just a few weeks in he has already visited other cities in the US! Read on to find out more. When I arrived in Oxford, Mississippi very late in the evening on Saturday 13th August, I wasn’t entirely sure what to expect at the University of Mississippi. Yes, I had done essentially as much research as I possibly could on the college itself, the town, the people, the culture, the history and everything else, but actually being right here in the heart of the South, was quite utterly remarkable! I soon settled in and got to know my Japanese roommate, whom I get along very well with, as well as other international and American students attending ‘Ole Miss’. After about a week classes started and at first the style in which they are conducted in the U.S. surprised me. The lecturers all share an incredible passion for their fields of interest and this enthusiasm is translated into every single lesson. I have also found everyone to be really friendly, polite and welcoming as is custom in the southern parts of the USA, and this has made adjusting to the American way of life that much easier. In terms of travelling, I have already been lucky enough to have visited Memphis in Tennessee twice as well as Nashville in the same state. Both of these are amazing cities that offer unique experiences such as the arty ‘Gulch’ area of Nashville (main blog picture) and the historic downtown on Broadway, the home of country and western music! Equally as interesting was the smaller town of Memphis, and for me as a history student visiting where Dr King was shot in 1968 was both humbling and fascinating. As you would expect, the food here is both delicious and also tends to come in large portions! Mississippi and the surrounding states are well known for their distinct tastes and flavours. The fried chicken is unlike anything back home and as for the catfish, a traditional southern dish, it’s simply irreplaceable. It also goes without saying that another Dixie classic that I have tried while in the U.S. is iced tea, and again our British equivalent doesn’t come at all close to this wonderfully refreshing drink that suits the hot, humid climate of the South. The social aspect of my time here so far has also been extraordinary with many chances to meet new people from all over the globe. In fact the trip to Memphis mentioned previously was arranged by the Study Abroad office here and was a fantastic way of meeting students from Germany to Australia! Let’s not forget the Americans, who also socialise a great deal whether it be frat parties (a lot of fun) or the infamous Ole Miss cookouts or ‘tailgating’ as they call it before home football games. I am yet to experience the latter, a college tradition, but hopefully I’ll be able to change that this weekend when the Rebels take on Wofford in their second game of the season. Although I am missing everybody back in England, at this point during my trip I am still very much excited for what is still left to come! 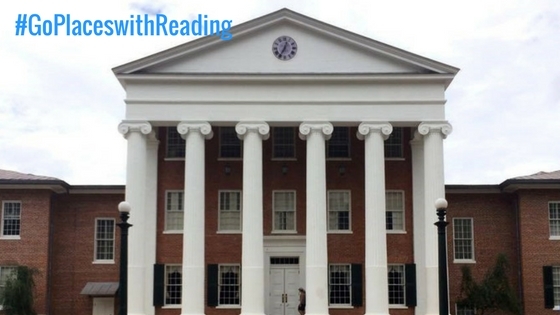 This entry was posted in USA Study Abroad and tagged 2016/7, History, Study Abroad, University of Mississippi, USA. Bookmark the permalink.